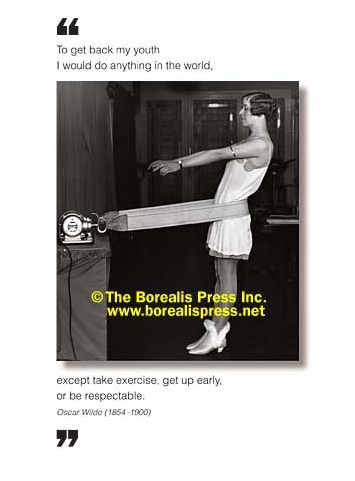 Outside: To get back to my youth I would do anything in the world, except take excerise, get up early, or be respectable. - Oscar Wilde Inside: Blank. Borealis Press card measures 5 x 7 inches. Includes envelope.